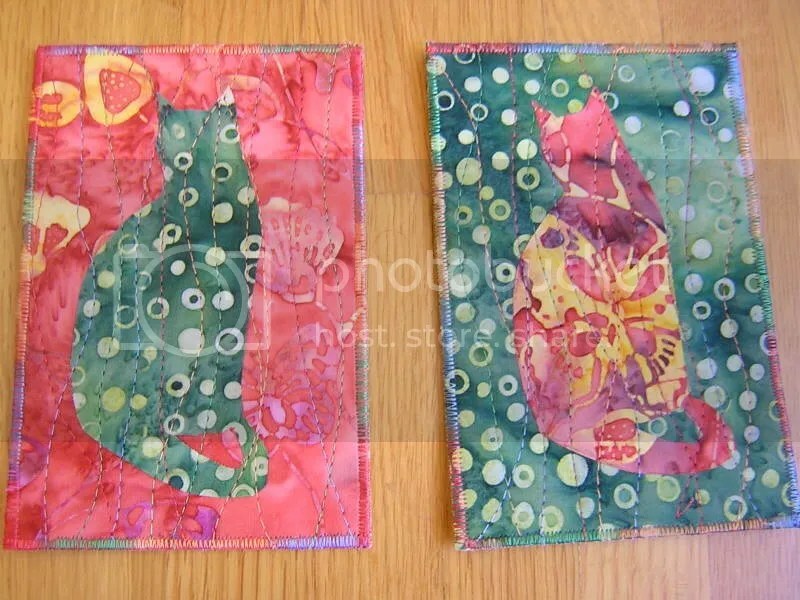 These are the postcards I made for a Cat Postcard swap on Nervousness. I have been drooling over other people’s quilted postcards for years and it was hight time I tried it myself. This entry was posted on October 11, 2007 at 11:57 am and is filed under Uncategorized. You can follow any responses to this entry through the RSS 2.0 feed. You can leave a response, or trackback from your own site.